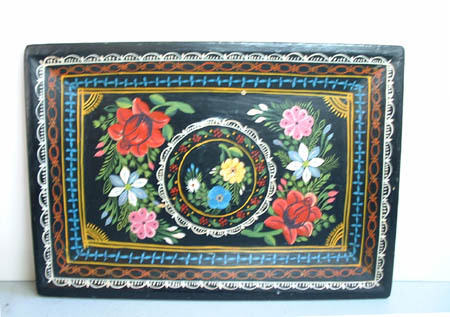 Black Lacquerware Tray from Olinala. 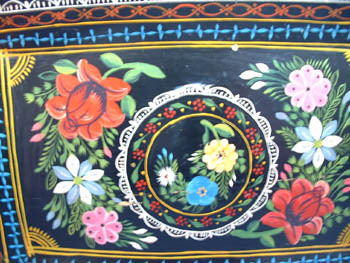 Hand painted in a classic flower design. 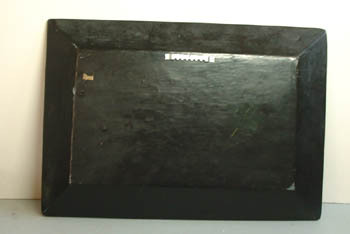 Tray has a hanger on the back so it can be hung for display. 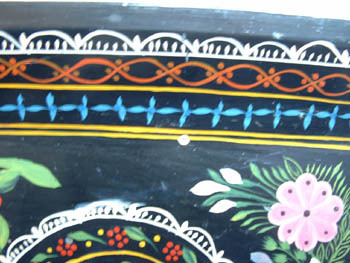 There is a little bit of paint chipping and one tiny gauge that looks like a white dot in the face of the tray. 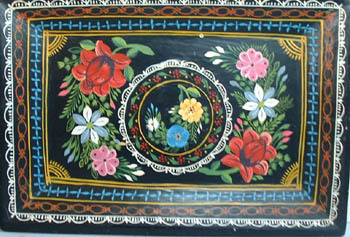 The tray measures 14" long by 9 3/4" wide. The item will ship at 2 pounds for $8.95 postage. Postage includes extra weight for packing, any excess postage charged will be refunded to buyer's Paypal account.